Staff, students and parents from The Sixth Form College, Solihull are preparing for Christmas with a celebration of Music at the College, as the annual Christmas Concert takes place. 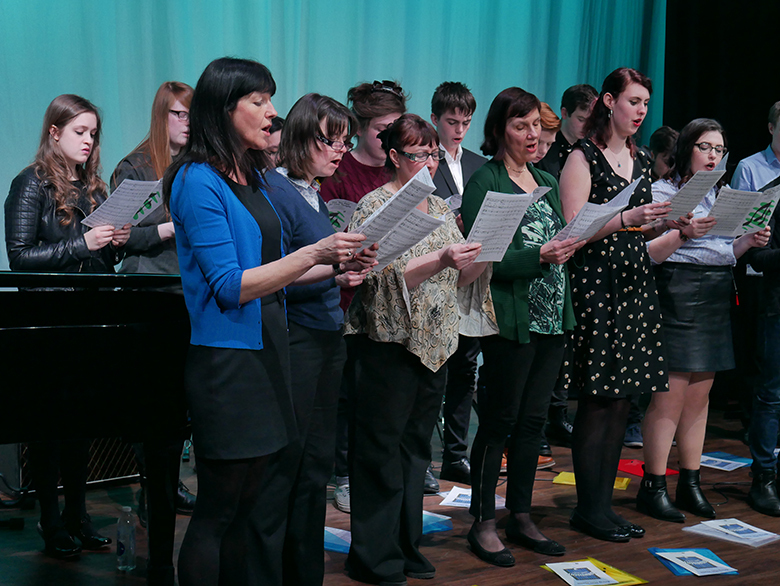 Students are putting on a festive performance on Wednesday 14 December at 7.00pm in the College theatre. Christmas carols are part of the concert and the audience are encouraged to join in, as we attempt to spread some festive cheer! The College Choir, which consists of both staff and students, will also get people into the Christmas mood with a medley of yuletide songs, and there will also be solo and group performances from the students, both instrumental and vocal. Music teacher Chris Phelps commented, “The Christmas Concert is always one of the best attended concerts of the year, so we’re urging anyone who wants to come to get their tickets in advance to avoid disappointment. We’re aiming to get everyone in the mood for Christmas and part of that comes from audience participation, so we’ll be asking those that attend to join in with some traditional Christmas carols. Tickets for this concert are free of charge and available by calling 0121 704 2581 or emailing Marketing at the College. Some tickets may still be available on the door on the night, but people are advised to call first and reserve their tickets to avoid disappointment. The next College music concert will come in April. The Easter Concert takes place at 7.00pm on Wednesday 5 April.